Two events during the 20th Century changed Canada beyond all precedent and imagination. The Great Depression created a new Canada in which social stratas almost merged! The social pressures that became apparent formed the roots of change to come — economic and industrial — but mostly social! The Great War had made Canada an independent nation. 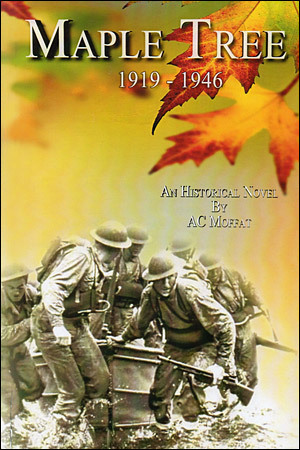 Then, following the Great Depression, came the Second World War which took Canada to the International level. This is the story of a family who lived through this remarkable period of change — lived through it and took an active part in it! A typical Canadian family of the time! Tonight we go on what is certain to be a most difficult mission. If you receive this letter — which I am leaving with my Padre only to be sent if something happens — you will know that I am not coming back from it. I want you to know that my last thoughts and prayers are of and for you. You gave me life and you made me what I am — I have always tried to live up to your expectations and I shall do so to the end. Please tell Will that my hunting and fishing gear are his — he could never catch a fish or hit a deer — maybe my equipment will bring him luck!